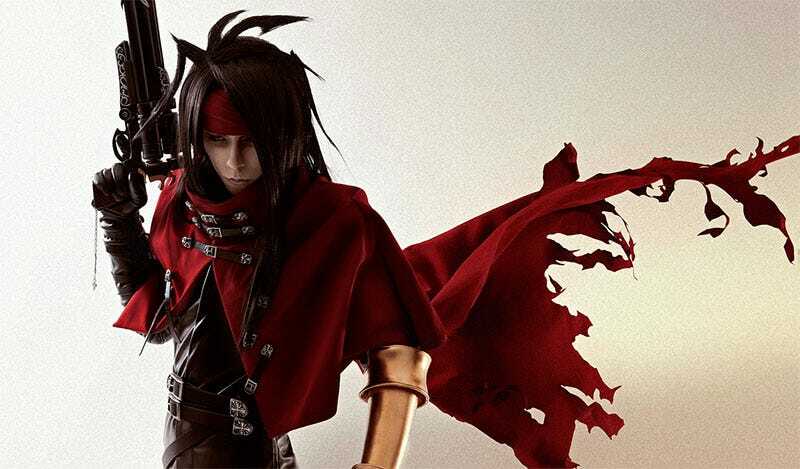 It’s been a solid August for FFVII cosplay, as not long after that incredible Cloud+Aeris shoot we’ve now got one hell of a Vincent Valentine. The cosplayer is Yuri Narss, aka Narcisspuppet, someone we’ve featured before for his terrific Final Fantasy work. As with his last feature, you might look at these pics and scream PHOTOSHOP, but most of the effect here is actually achieved through careful lighting (courtesy of photographer Lexa One) and make-up work. This last one is with Yuri’s girlfriend, Lady Zero.